In the process of organizational change, there are two dominant leadership styles. The first is transactional, and the second is transformational. 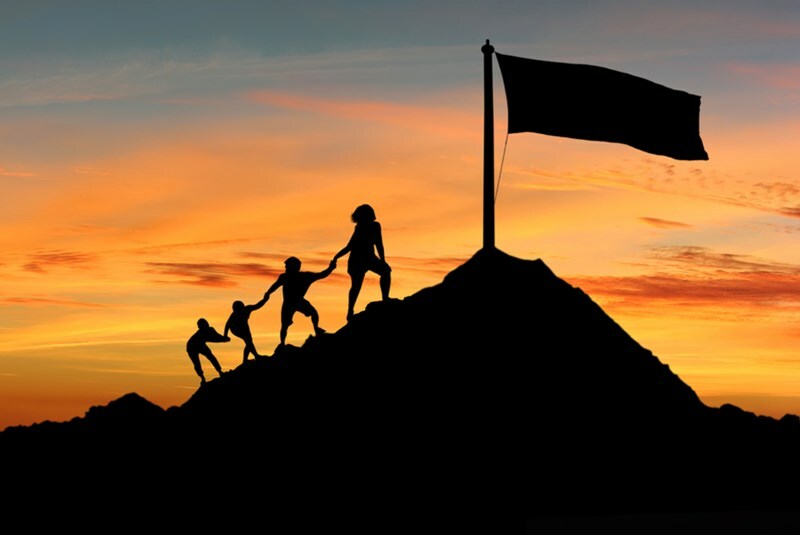 In this article, we discuss the difference between the two, the advantages and challenges of transformational leadership, and why one cannot exist without the other. Transactional leadership is concerned with ensuring that assigned tasks are completed. It’s about daily work functions, and ensuring a seamless switch from one process to another. Transactional leaders are generally unconcerned about the future vision, but instead focus on set targets. They are exceptional at creating frameworks, formulating policies, and implementing procedures to move an organization from A to B. However, as we discussed in our article “Why clarity in change management will jumpstart your transformation”, to make change that lasts a leader needs to engage people in the project. Transactional leadership doesn’t do this. It doesn’t encourage people to embrace the new corporate culture, beliefs and values. It doesn’t influence people to change, but instead obliges them to. The transformational leader is a resilient, inspirational figurehead. When he or she talks, they immediately engage their audience. They motivate their people, providing the impetus for organizational (and personal) change. Transformational leaders create vision, build teams, and model required behaviors. They employ effective communication techniques to motivate and encourage collaboration. They identify and nurture talent, providing mentorship, coaching and training to develop today’s executives into tomorrow’s leaders. Transformational leaders inspire a workforce. They provide vision, and encourage the creativity and innovation needed when problem-solving. In addition, transformational leadership empowers employees to take responsibility for their own personal growth. Potential leaders come to the forward of their own accord. Transformational leaders communicate future vision, which provides the impetus for employees to meet the challenges of change, seek solutions, and become problem-solvers. The result is a cultural shift in which everyone becomes engaged with the change project. This isn’t easy, but eventually the resilient leader will reduce, and eventually eliminate, resistance to change. The performance of Jack Welch at GE is evidence of the financial progress that can be achieved under transformational leadership – in 19 years, GE’s revenues almost quadrupled, its earnings multiplied almost eightfold, and the stock price saw a 40-fold increase. A transformational leader encourages teams and individuals to raise their game. Productivity and growth is almost assured. However, transformational leaders – for all their inspirational qualities – tend to lack the detailed focus to implement their vision. They provide urgency and reason, but must rely on transactional leaders to implement the new processes, procedures and policies in the workplace. Transformational leaders provide the inspiration that promotes lasting organizational change. Without them, it is unlikely that a largescale change process will survive the test of time. Organizational transformation requires direction and vision, development of a new culture, and modeling of behaviors expected of employees. Transformational leaders are the captains of change, but without the engine room of transactional leadership your change project could grind to a halt. To discover how a Change Agent Bootcamp and coaching your team will help your organization and leaders produce lasting change, contact Forward Focus today.